If everything goes according to plan, by the centenary of the Republic of Estonia in 2018, fourteen town centres will be totally renewed. At the moment, there are car parks and self-emerged green areas or wastelands, which do not exactly encourage people to spend time in these places. 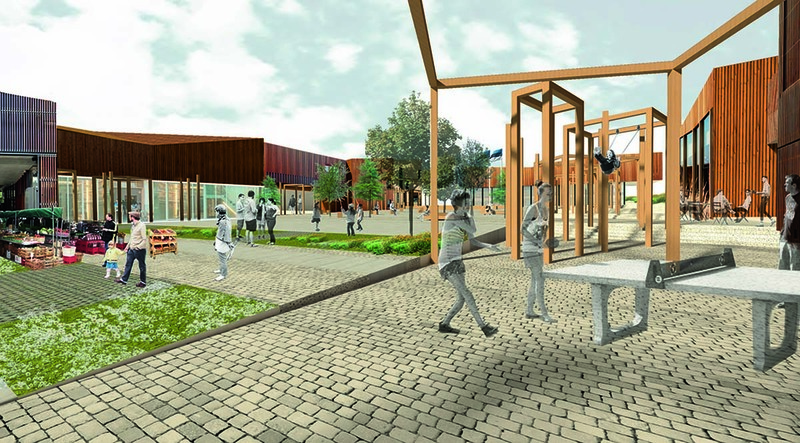 The project Good Public Space, dedicated to the 100th anniversary of the Republic of Estonia, has been organised by the Union of Estonian Architects in cooperation with the organisational team. During the last year, town and public space has become a theme that increasingly fills news portals and newspaper pages and which is discussed by people not actually involved in architecture. Fuel was added to the fire by Jan Gehl’s book Cities for People (2010), recently translated into Estonian. The book makes it absolutely clear how significant urban topics are even to otherwise ignorant state and city officials. Primarily, however, the large amount of such news reveals the acuity of urban themes and problems connected with towns’ development. It is no secret that Estonian towns are getting smaller. There are many reasons for this: smaller towns are unable to compete with the attractions of bigger centres; and services such as post, library, cash dispensers and local schools disappear and the officials point to the policy of reducing costs. A small town loses its pulling power, inhabitants leave, enterprises dwindle, jobs vanish and the town’s decline is accelerated. 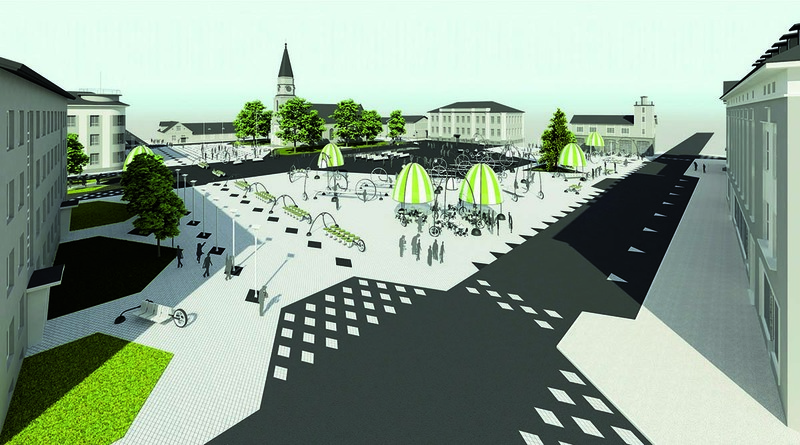 Good Public Space is one possible way to change the development of Estonian towns through seemingly tiny spatial interference. The first steps are discussions with the town councils about the most acute issues in urban development. The emerging problems in the towns are quite similar. The town centres are vegetating, distinguished historical houses by the main squares or former high streets are crumbling, and suburban supermarkets have sucked the last bit of strength out of centres. The town councils only have enough money for urgent needs and public space is certainly not a priority. At the same time, it is clear to everyone that as towns are getting smaller, they should be made more compact physically, primarily maintaining buildings with cultural-historical value and, if necessary, demolishing the Soviet dormitory-type complexes at the edges of towns that are losing their inhabitants. What then are the stimuli that would fill town centres with people and boost the small businesses along the main squares or streets? What would attract lads sipping beer in suburban supermarket car parks, families pushing prams or the elderly back to the town centres? What would prevent young people from leaving the towns after graduating from school? What would attract both domestic and foreign tourists to Estonian small towns? 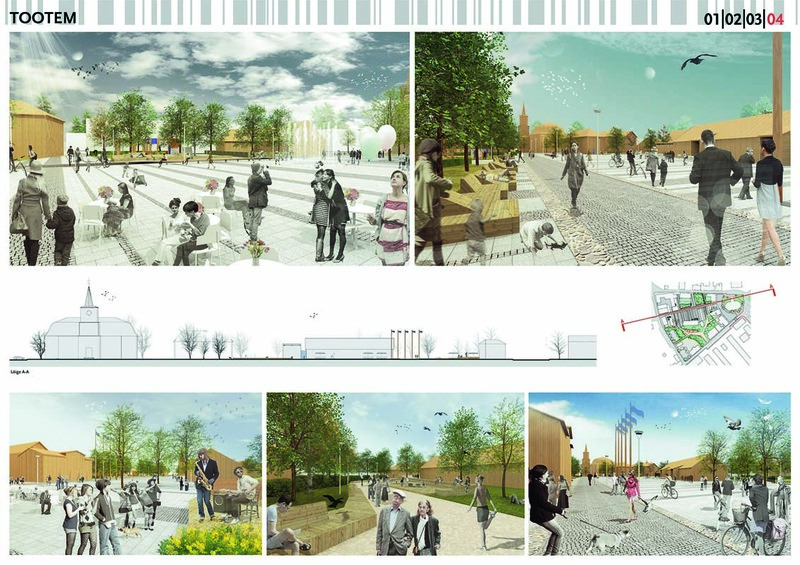 According to architects and urban theoreticians, a crucial stimulus is the quality and appeal of public space. It has been a long and arduous process to explain the things to politicians and officials that are totally obvious to architects. The whole Western world is full of wonderful examples of how diverting transit traffic, broadening pedestrian areas and their attractive redesigning have enormously boosted the rebirth of town centres, and brought people back to bleak urban environments. There are fourteen towns with whom the Union of Architects has initiated a series of open architectural competitions for town centres. Half the competitions have already been successfully completed, and Põlva, Tõrva, Võru, Kärdla, Rapla, Valga and Rakvere now have new designs for their centres. The average population of these towns is 2500–15 000. Some entries focus on the empty places in the hearts of towns to create new squares, while others try to reinterpret the areas of historical main squares or streets. The common denominator is the human dimension. 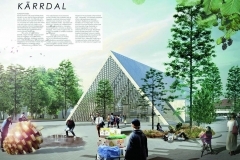 The winning entry of the Põlva competition best captures the new urban identity, which largely relies on the local timber industry and the topic of energy efficiency. 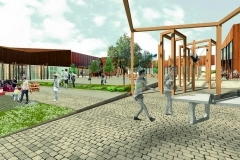 The new central square is thus surrounded by wooden buildings using local laminated timber which perfectly represent the urban construction scale in Põlva. In between the buildings, there is a cosy area where pedestrians can spend their leisure time. 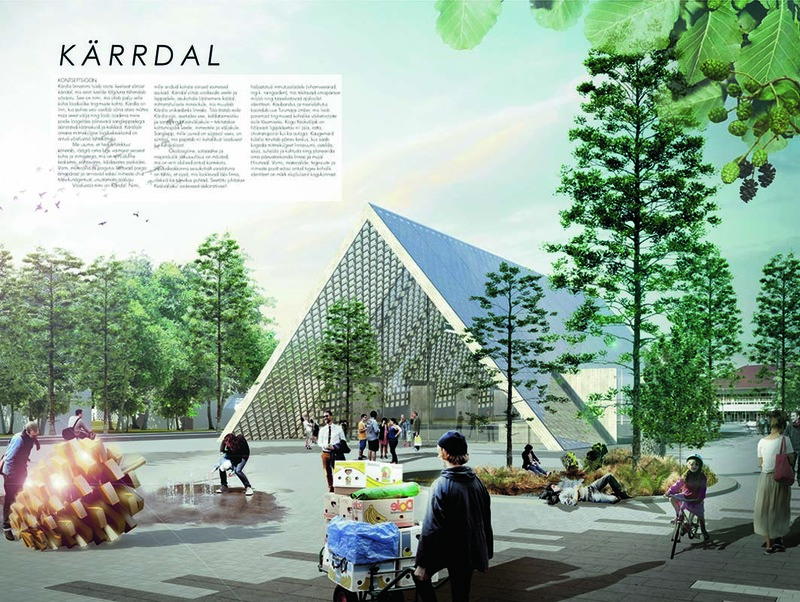 The winning entry of Kärdla involves new usage for the elongated main square, which is now a car park. The square was cut in two by a new market building, leaving one side of the square mainly for summer events and the other for winter activities. 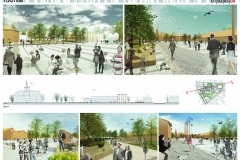 The light transformable market building and the surrounding area make it possible to organise various activities, from open-air concerts and performances to a skating rink in winter. 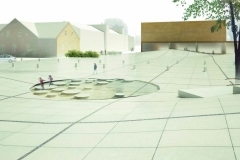 The competition in Valga redesigned the connecting road between the border towns of Valga and Valka (Latvia), which will run through Valga’s oldest historical quarter. The middle of the quarter will be a cosy pedestrian zone where various activities can be organised throughout the year. 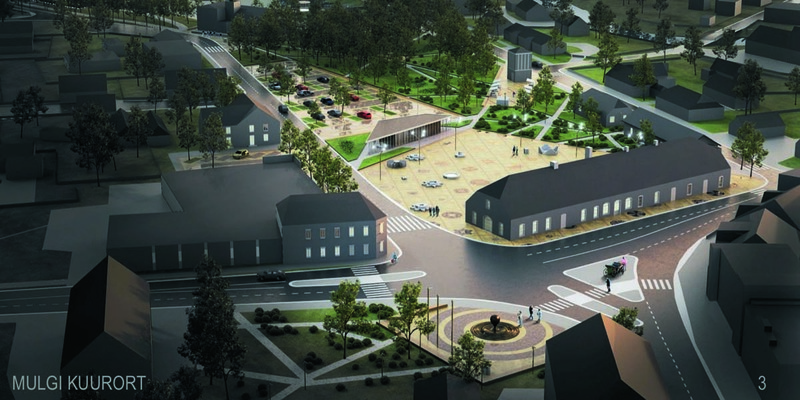 The historical central square in Võru is today a post-World War II square that developed by itself. The plan is to restore the historical square space and open up views of the surrounding magnificent 18th–20th century buildings. The square will become a universal field of activities, with local people and their ideas playing a significant role in designing it. 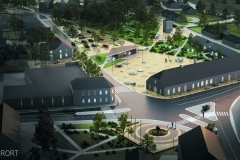 The planned central square in Tõrva is currently taken up by a bus station and a car park. However, it deserves to be a place for the main undertakings in town; in the 1990s wonderful summer concerts were indeed organised here. From here you can also get to the local government building and the riverside park, where music festivals are organised. The competition entry unites these different areas into one functioning whole, where pedestrians have no need to fear traffic. 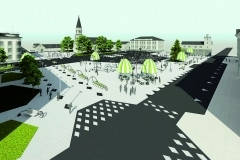 Rapla is trying to create a new main square in a central, poorly used empty space and connect it with the market area. Thus a totally new active pedestrian movement axis will emerge in the middle of town, which will help to unite different urban areas. Rakvere wants to reanimate Pikk Street, the essential business street since the Middle Ages, lined by the oldest and most distinguished buildings. A large number of them are currently not properly used, while the street space mainly serves car traffic. The new solution should give priority to pedestrians and provide a strong incentive to renovate the historical buildings and start using them again. Talks with ministries and various institutions have been positive and it is likely that the winning entries can be realised via the European Union’s structural funds for regional development in 2014–2020. This financial support, however, can help only partially. It would be logical that the programmes tackling long-term developments of such artificial environments not be initiated only in order to celebrate one-time jubilee events. Instead, they should form a part of the whole architectural policy of Estonia, and the work to making the living environments more comfortable for people should be continuous.